This quick vid will show you how SIMPLE it is to whip up these Juice Jiggles! You in the mood for a Jell-O shot? Kinda stupid question, right?! Of course we are! Anyway...How about a healthier, prettier version (with or without the alcohol!)?? And BTW, it's not even real Jell-O, it just jiggles like Jell-O, so that's what it makes me think of! But really, this recipe let's you carefully craft any flavor (and color) combo imaginable! The raw cane sugar adds an extra pop of sweetness that will have you craving MORE! QUICK TIP!! 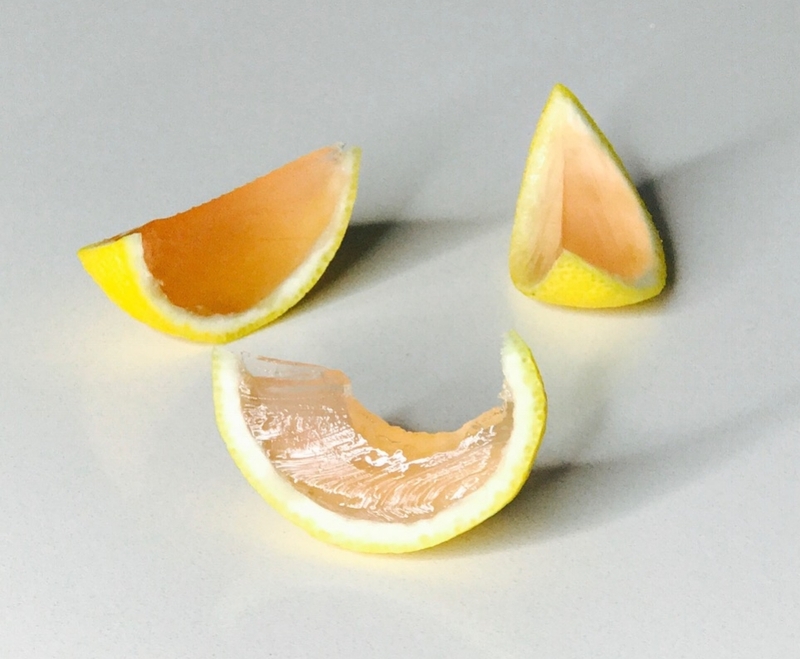 Make sure to smooth out the inside of the lemons! Next, take half cup of Hint water (I used kiwi strawberry) and boil it -- Keep a close eye on the pot because it will boil fast! While the water is heating up, take the other half cup of COLD Hint water and pour it into a measuring up with a spout. Into the COLD mixture, add one packet of geltaine and let that sit for a minute or so. Add your HOT Hint water to your gelatine mixture, and stir, stir, stir! Stir for a few minutes until all of the gelatine is dissolved. Finally, pour the gelatine mixture into the lemon halves. Try to fill as close to the top as possible. Refrigerate for at least three hours or until completely set. Using a sharp knife, cut the lemon slices (while still very cold). Be sure to make room in your refrigerator for your cupcake tin before you get started!! Here's my LIVE TUTORIAL! I hope you can pop over to my FB LIVE STREAMING segments @AbbieLive! Or you can SUBSCRIBE to my YouTube Channel here! I love Hint water! The strawberry kiwi flavor is my favorite!